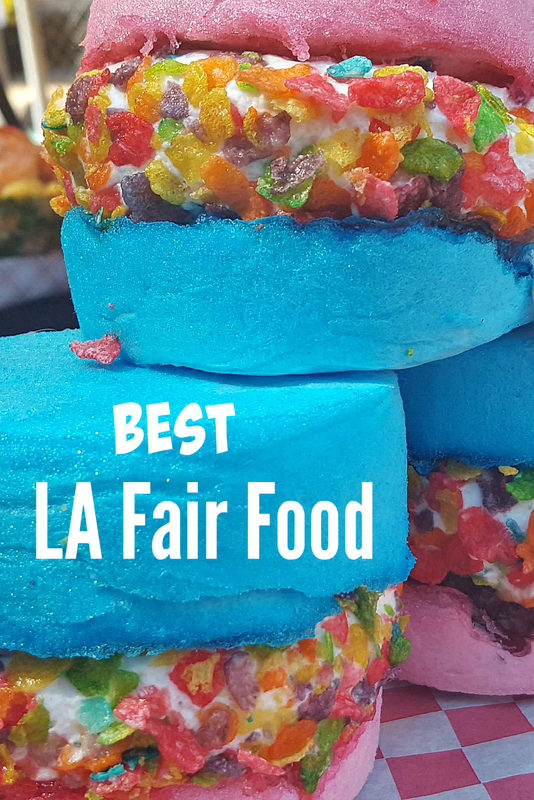 LA Fair Food – Outrageous, Delicious and Fun! We love the Los Angeles County Fair for many reasons, but for us the LA Fair food is always the highlight of our visit. Some years, we can guess ahead of time what the trend might be, but this year there were some fun surprises. Never fear, you can still get the deep fried, giant sized and bacon wrapped decadent goodness that you've enjoyed in previous years. 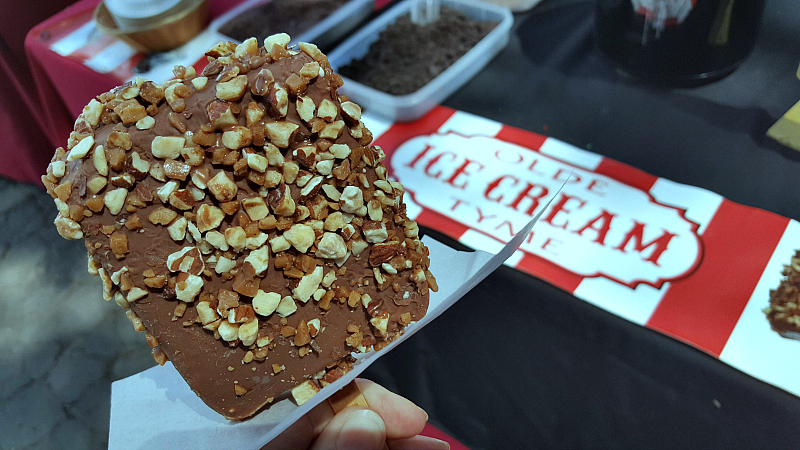 However, you'll also find many creative newcomers to the fair circuit and new Route 66 themed foods that were created just for Los Angeles. Also, you'll find specially priced $6.60 food deals in honor of Route 66 from many vendors throughout the fairgrounds. Bold colors are a food trend that is extra fun, so we were happy to see all of the uniquely colorful, unicorn and rainbow food items. 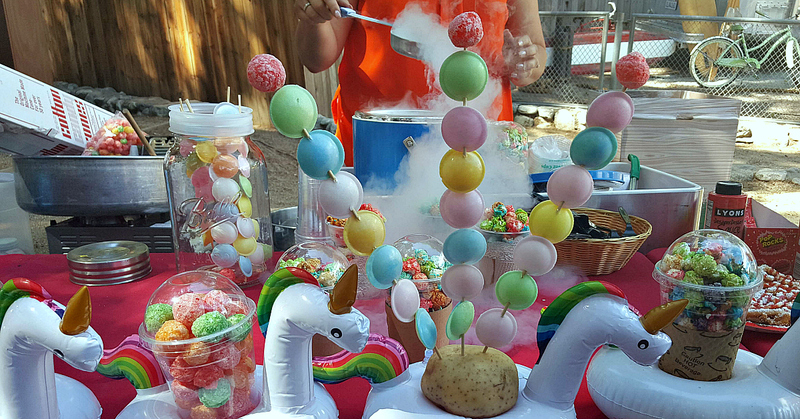 Retro candies on a stick are dipped in liquid nitrogen for a frozen treat and ramen burritos are wrapped in bright red and green tortillas. Red Flaming Hot Cheetos add spice and Fruity Pebbles add colorful crunch to a variety of foods. Check out the photo gallery and see our favorites from this year's fair. It's best to come hungry, when you visit the LA County Fair. We like to share with friends, so that we can taste a bigger assortment of foods throughout the day. The variety this year is excellent, so it's a great time to try these outrageous sweet, savory and spicy foods! For extra fun, you can stay overnight at the Sheraton Hotel at the LA Fairplex or at a nearby hotel in Pomona. Also, check out our additional travel articles. Flavorful Trip is a US website for food travel here in the US and around the world.